During the Nintendo investors Q&A session, an investor felt too many major titles were released in the last three months of 2018. Hence the investor asked how easy it is to develop a Nintendo Switch game, what are the processes like, and what is Nintendo’s approach to game development. Shinya Takahashi, general manager of Nintendo’s Entertainment and Planning Development Division, drew a comparison between developing for the Famicom and developing for Switch. In the span of a few decades, game development has become much more streamlined, development teams have grown larger, and developers could work from any location around the world. Of course, the volume of games, project scope, and processes have all increased. Thanks to Nintendo’s experience and know-how in making games, they have learned to better tackle these issues. Thus, Takahashi says first party games are rarely delayed and launch on time, and he assures the investor that all Nintendo Switch games planned to launch in 2019, including unannounced titles, will launch as planned without delays. Creative Fellow Shigeru Miyamoto also gave a few cents on game development. Miyamoto is in the process of guiding the younger generation of developers at Nintendo, in order to support them in making games unique to Nintendo. He says it’s important to nurture developers in making games with a fun and “core concept”, and that’s what Nintendo is doing now. 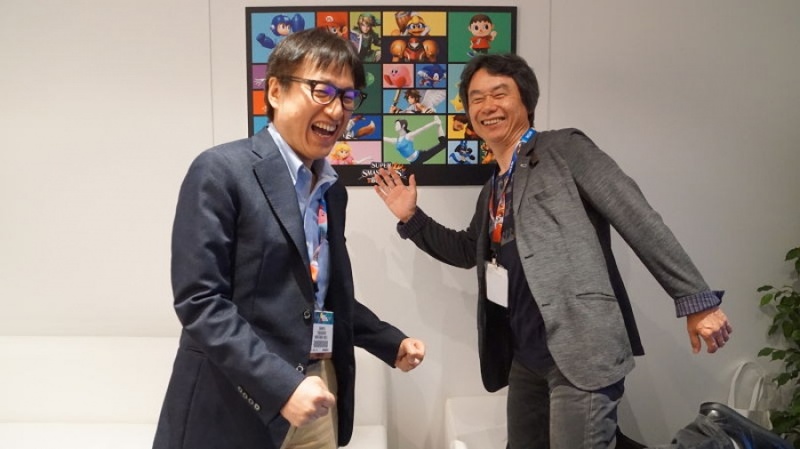 These developers repeatedly refine their game concepts and ideas to ensure they are fun for everyone, and Miyamoto is there to oversee their progress. Miyamoto felt the development of Super Smash Bros. Ultimate, a game that involved many companies and developer, was smooth from start to finish.